- That actively nurture and develop their firm's culture? - That will offer startups free hours, don’t charge by the hour and aim to charge a fixed fee for everything they do over the first year or two, depending on how the startup’s needs progress? - Where there is an open door policy and a friendly and caring environment? - Where the team is given a say regarding their individual bonuses and choose to invest in social activities for the team instead of taking a higher cash bonus? - Where the firm is aiming for a good balance of work ethic, client care and relaxation outside the office walls? - Where the firm has an issue with some people not taking enough annual leave? - Where the firm gives the team 35 days annual leave as standard and they can buy extra days over and above that. - That will buy a jazz boat trip experience on the Thames for the person who won the Most Dedicated Lawyer, instead of awarding cash? - Where, as a new father, the firm will pay 50% of your salary so that you can work from home for 3 months? - That has won Most Innovative Law Firm of 2016, London Business Start-Ups Law Firm of the Year in England in 2015, 2016 and 2017, amongst other awards. Meet A City Law Firm and its founder and Managing Director, Karen Holden. Why did you start A City Law Firm? I was disillusioned while working in the big firms; it was all about making money, hitting targets and not genuinely supporting the client. I was also demoralised as I wasn’t getting the personal growth and development I was looking for nor that of my team. I felt I had a choice to leave law or try something crazy or brave such as starting up myself. If I had carried on in the big firms I would not have felt fulfilled. I decided to set up my own firm, which as a pure startup meant it was me in a room with a computer and a stack of client files. I initially had my husband and mother helping out where they could until I was able to employ staff. I fortunately had some loyal clients who followed me to the new firm and I consulted with other firms to keep my head above water. It was stressful but exciting but when I started bringing my team over it really started to take off. How did things change once you got the business on its feet? It took a while to get the business on its feet and we had some tough times. There was a time when, due to clients delay in payments, I couldn’t easily pay salaries. One month I communicated the situation to the team and they actually suggested that I didn’t pay them that month, which was incredible. I couldn’t do that though, so I put it all on my credit card. The team showed me unbelievably loyalty and I in turn wanted to prove my commitment to them. This depth of commitment continues to this day and is one of our core foundations. The big difference, although it was tough in the beginning, is that I really enjoy my work and the environment I work in. I am able work the hours I want to see my family and importantly I can fall sleep knowing I had maintained my integrity and was doing the right thing for my team and my clients. The team has grown slowly; one of my paralegals Andrew, came over to join me seven and a half years ago and is now a Director of the firm, sharing the load. What are the company mission, vision and values? We define our mission as delivering quality services and maintaining outstanding client satisfaction. For our staff our mission is to build a family friendly, social environment with the opportunities for career progression and growth. In terms of values, we are a team that must build the firm from within. We identified the firm’s core strengths and future growth being centred around three core values of Leadership, Innovation and Personality. To each person this means slightly different things, but as a company we are always thinking proactively for ‘out of the box’ solutions. It is important to us that we never lose our personality and who we are because it is who we are and our clients like us that way. 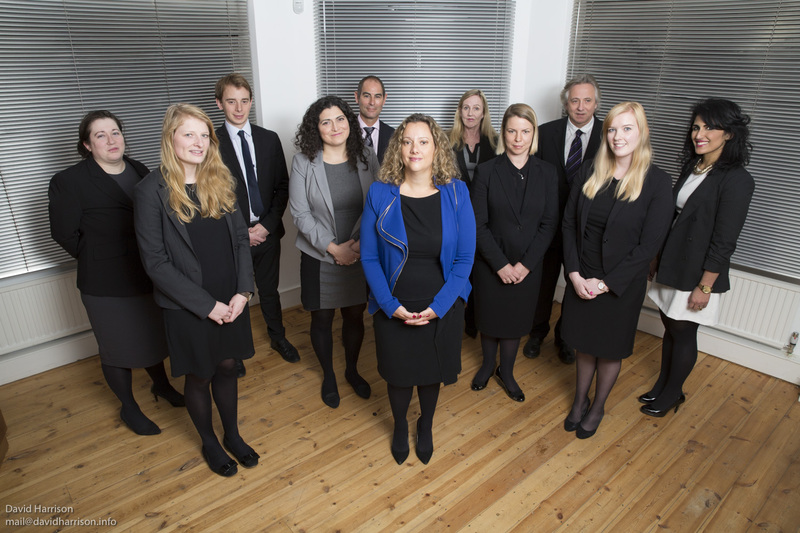 How is A City Law Firm different? Firstly, our firm's culture is very important to us and we work hard to nurture and develop it. Secondly, we are not traditional or target based lawyers. We don’t look at a client and wonder how we can make more money out of them. Instead we do what’s commercially sensible and take steps to advise and protect as best we can. We will give you a list of options — the pros, cons and risks associated with each — and we work with you to make the decision that’s right for your business. You should never ever allow a lawyer to run your business as they will always err on the side of caution and will not know your business as well as you. A lawyer should be there to guide and advise but not dictate. We are continually looking for alternative & innovative ways of helping our clients be it finding them investment or re-structuring their set up. We can be flexible with our fee structure and will consider different models for different clients. We like to think of ourselves as innovative lawyers; we are not high street, nor are we big city and there is no one else like us in the City of London. How are the firm’s internal work practices different to other law firms? It's all about our culture. We listen to our people to understand what drives and motivates them, giving them a voice and embracing their needs in the process. We have regular socials and an open door policy to create a friendly and caring environment. Like all firms, we have policies written down, but the real value comes in showing our team that we mean what we say, for example taking time out of the day to talk to them and listen to them, however busy we are and whatever the question may be. We try to lead by example and let our personalities shine through in the manner in which we run the firm — a good balance of work ethic, client care and relaxation outside the office walls! We don’t have receptionists. That means that when you call in you are, for the most part, immediately talking to a trained professional. In this way there is no secretary or other barrier between the customer and the legal team. They are able to understand your situation, give advice, book a meeting or give a quote or follow up with advice immediately. It’s a great way to close new business opportunities and our clients get that personal touch as the team member often knows who they are and can address their question immediately. What novel approaches do you take to sourcing new business and building the brand? We win new business through referrals, word-of-mouth, our network and more recently we have since seen an upturn with social media leads. We have started seeing Facebook ads attract a new client base such as tech clients at an earlier stage in their development lifecycle. We initially didn’t use social media as much as we do now as we didn’t fully understand its benefits. We have hired a marketing manager and we are now using social media to promote our content and initiatives to a much wider audience. I don’t want to be a large corporate firm employing thousands of lawyers. I have the perfect team that delivers quality work I am proud of and I don’t wish that to change. There are thirteen of us and we could possibly take on one or two more. If you had asked me two years ago, I would have been happy with a team of 6. I think the limit is fifteen but who knows? The problem once your team gets too big is that you can no longer control the quality of work or maintain the friendly environment we have. My big ambition is to secure a freehold building for the practice to remain in until I retire at least. As a company we don’t need volume; we want quality, interesting work and to have an office people want to come into every day. How do you handle the recruitment process? The first meeting with a prospective employee is all about understanding the firm, who we are and what makes us tick whilst getting a sense of the candidate’s suitability for the role. This is important as we want any new employee to buy into our culture at the onset and appreciate we are different from large city firms. Andrew and I do the first interview and after giving a candid portrayal of the company and the culture we will send down a trainee or paralegal to meet them. They can give a brutally honest picture of our company and how we work and ask questions the candidate may be too nervous to address honestly with us. If the candidate passes the first round we will have them come in and meet more members of the team and sit a second interview. How are the team’s rewards structured? Our approach towards incentives, bonuses and benefits is to listen to what the team wants, test their ideas and keep what works. If not, we change it. Based on our team’s feedback we have recently created new benefits around annual leave and bonuses. It turns out that there are two things that motivate our team: more social events and more leave so they can spend time with friends and family. So we have created a social secretary and a social treasurer position, allocated them a budget and it is their role, with the team, to arrange and look after the social aspect of the company. In order to allow people to have more time off we created a system whereby our people can “buy” or claim additional annual leave. As a business we have a requirement where everyone on the team must attend one networking event a month. If they do an extra activity for the business over and above that one event, they can bank the extra activity time they have invested in the business to buy more annual leave. We already give the team 35 days annual leave as standard (versus the usual 28 days) and they can buy extra days above that. We used to have personal targets and departmental target bonuses but we decided to scrap the departmental bonus payment because the team was worried that it might incentivise the wrong behaviour and stop work being cross referred properly within the team. The team was concerned that people would become too possessive about the deals and focus on hitting their targets. Instead, we now have a quarterly reward dinner paid for by the company for the best department. The team can now focus on personal targets and help other departments because it’s the right thing to do and there is no conflict of interest. What awards does the firm have for exceptional effort? We have different types of awards, such as Employee of the Year, Most Innovative Employee and Most Supportive Employee. This is voted for by the staff not just management. I was awarded the most supportive employee so we scrapped that award and changed it to the person who had worked the hardest, gone to the most events, attended the most seminars and so on. We recently bought a jazz boat trip on the Thames for the winner of Employee of the Year and her partner instead of just giving her cash. One of our juniors who won the Most Innovative Employee award told us that she would like extra time-off during her appraisal, so we gave her three extra days of leave. The team likes a bit of fun, so we created a trophy for the Employee of the Month, also it encourages the gentle rivalry that we enjoy. At the end of each month each person writes on a Post It note what they have done and achieved that month. The Post It notes are read out in a team meeting and the winner is voted by the team. What issues do you face with the flexible work environment? We have an issue with some people not taking enough annual leave or working long hours because they literally love their jobs so much, but I don’t feel that’s right because people must have a break. One team member just refuses to take her full annual leave and when I asked her about it she said that she was happy with the amount of work she does. I even offered to buy back the leave and she said that one day she will want to have a baby and then she would ask for more time off. Some staff need different hours for school runs, some have evening commitments and others want to work remotely on certain days due to personal commitments. The challenge is to monitor the performance so your firm doesn’t suffer or others have to bear other people’s work load v staff happiness and motivation. It’s a constant process, but so far it has worked for us. We try to create an environment where we respect everyone as individuals and try to treat everyone based on their needs. At the same time we need to have standard policies and procedures so finding the balance can be a challenge. How is career progression and promotion different at the firm? Our people are all different. Some members of our team want to just be excellent lawyers, others want to be heads of departments and others want to become directors of the company. In a traditional firm you become partner for the status, respect and money. In our firm you don’t need to reach partner to achieve these things. The goals and objectives in this firm are different to the normal firms. Whether you want to be the best lawyer and earn well or you want to become a director of the company, it’s possible and there is a process you can follow. How do lawyers who have worked in one of the big firms fit into the culture? Many members of our team have bought into our culture because they had experienced a negative environment in a previous firm or had been extremely stressed working long hours for target-based firms and wanted a change. In recruiting we have considered candidates from the large magic circle firms as well as less traditional lawyers. We found some were looking for designer offices, named status at the firm and all the other trappings, rather than being client focused and understanding the life/work balance. 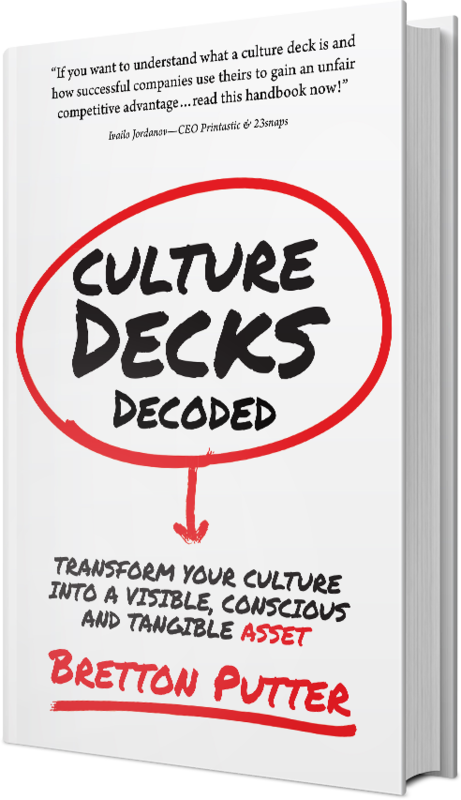 These executives from the big firms who we interviewed understood that this was a different environment, that you had to go out and find new work, treat everyone with respect and think differently but many simply couldn’t fit into the culture or know how to channel it. They wanted to adapt but couldn’t. Members of the team that have worked in firms where they have had horrendous experiences who understand what it is like to be shouted and screamed at, often adapt quickly as it’s a whole new environment for them. I didn’t get on with my former boss’s management style, but the experience did teach me who I wanted to be and didn’t want to be. A tough environment does make you resilient and hardened and this can be a good thing; however that is not the way we are run this firm. Does the company measure its culture? Are there any culture based KPIs? What else is measured? • Staff retention is a KPI for the company and recruitment has not presented problems to the firm as a consequence of embedded social and collaborative policies. • Staff professional progressions is a KPI for future the success of the firm as well, developing specialist, young, energetic professionals who can think innovatively around problems. • Social engagement in work drinks is a KPI, to ensure that our personable and sociable side of the firm is maintained. Attendance at these events is always very high and their success is supported by a separated social team with an independent budget. • Employee’s volunteering and CSR enrichment is measured and actively encouraged by the company. This both engages the local community but also broadens the skill set of the team and is measured and supported with flexible working time. • The client referrals are measured monthly, as are clients who return after their work is completed or give further instructions part way through. Each client is engaged to find out why they specifically feel an affinity with our firm and to measure their client experience along the way. Our employees’ happiness, loyalty and commitment to working above and beyond their expected working terms is the measurable ROI for most investment into the firm’s culture and ethos. Happy and engaged employees will outperform every other employee and the clients can feel their enthusiasm too. How do you promote the family friendly environment? We really work hard on creating a family friendly environment. I have met all of our team member’s partners and been to their houses for dinner. I understand the family impact if one of our people who has a family at home is working late and make sure they know that it’s not taken for granted. We include partners or spouses in company events and invite them to bring their children to the office to meet us. We promote time off, social time and flexible working and make sure single people get the same treatment so that it’s fair across the board. You do a lot of work with early stage companies, will that continue? Yes, definitely. Even though we are growing and becoming more recognised as a brand, we want to continue to work with early stage startups. They are fun, exciting and they throw a lot of challenges at you. It’s also a change out of our schedule from some of the high level work and can be really inspiring for the lawyer working with the startup. It’s also a great way for a junior lawyer to learn to work with a lawyer on a startup project and think innovatively and out the box. How do you price for startups? We are flexible in our pricing structure for startups. We offer a free one-hour meeting and then fixed fees. We don’t charge by the hour and we aim to charge discounted fixed fees for everything we do over the first two years, depending on how the company’s needs progress. We will only start to increase fees when they are better funded and more established and the work evolves. In some cases we will also offer a payment plan. As a specialist practice, we can adapt quickly and be as agile as the startups are because the market conditions are changing so quickly. What is the Startup Capsule? We set the Startup Capsule to bring together different service providers for startups and promote an encompassing platform for them. We have chosen the best partners for a startup to work with covering financial advice, accounting, taxation, property and so on. We list all the events and seminars our firm and our partners are hosting, and will be developing the Capsule as an education hub for startups with the aim of helping embryonic companies to grow through the stages and scale effectively. How else are you different to the typical law firm? Some people prefer working in the mornings some prefer evenings. At our firm it’s up to the person to decide how they want to work. We promote flexible arrangements , subject to an agreed structure, to get the best out of people. There really is no hierarchy when it comes to helping, supporting and developing, I will get my hands dirty and assist any of my team that need it. Mistakes can happen anywhere and whilst someone’s head rolls in other law firms, that isn’t the case here if the person is honest and we work together to resolve it. It is a key part of the collaborative atmosphere and ethic that we resolve the issue together and work out what went wrong with the structure, to avoid it happening again. All our people take responsibility for mistakes but without fear or reprisal of their jobs, which means things are picked up sooner and it is a happier environment to work within. There are mums and dads who work in our firm so we consider their needs. We offer flexible working, remote working, part-time and job share, which a lot of other law firms are frightened of. We find that we get more out of our people if we demonstrate trust and allow work flexibility. We believe that family is important and you need to be able to look after your family. We have hired a great team, we know that our people are committed and we trust them to do the job that’s required wherever they may be working. For fathers, our flexible working allows them to spend more time with their partner and new born. We don’t just offer the standard maternity leave of two weeks and the four weeks that are allowed for unpaid leave: a new father is currently paid 50% of his salary so he can work from home and dip in to the company to meet a client or have a meeting when needed. That way he gets a few months working remotely to spend quality time with his family. This benefits the firm as rather than have someone walking around the office looking like a sleep deprived zombie he’s motivated and committed. Whether you are a mum or a dad or are single, our firm’s benefits are fair to everybody. Why the name, A City Law Firm? When I set up the business I thought that all the other law firms had traditional surnames, as their name, which didn’t express what they did or make it identifiable as a solicitors practice. I wanted it to begin with the letter A so we could secure page one on all marketing literature and so I tried lots of different names and then came up with A City Law Firm. It does what it says on the tin and optimises well for digital. Half of the people I spoke to initially hated it and half loved it, but it works. Apart from new business and happy clients, how is the firm being recognised in the market? We have just been awarded the startup business law firm for 2017 and won Most Innovative Law Firm in London in 2016 and we were listed in the Legal 500. Clients have nominated us for various awards over the years, which we are very proud of and will be undertaking the reference process again for 2017. Our clients not only provide references but can be contacted by phone for verification so its wonderful that our clients support us in this way. An Albert Award was given to the firm for its work towards the charity the Albert Kennedy Trust.